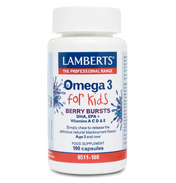 There are two families of essential fatty acids, the omega 3 series and the omega 6 series. Both are known to be vitally important for health and it is essential that both are present in our diets since our bodies are unable to produce them from other nutrients (hence the term essential). The omega 3 and omega 6 'families' each have a 'parent' fatty acid from which are bodies can construct other members of the family. Nutritionists increasingly focus on the intake of the omega 3’s because for many people their dietary intake has fallen to a point that is low enough to be affecting their health. 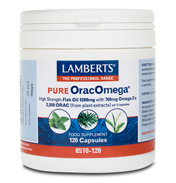 Most omega 3 and omega 6 supplements on the market are found in capsule form and look very similar so it is difficult for people to appreciate the difference in the quality of the oils. But the reality is that there is a huge difference as companies can provide very different grades of oil. 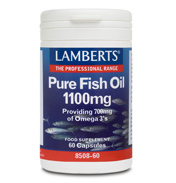 Lamberts® has been supplying professionals within the nutrition industry for over 20 years and in that time we have become experts in obtaining the best quality oils with excellent fatty acid profiles. 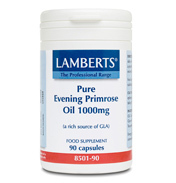 So whether it is Lamberts® Evening Primrose Oil through to our Pure Fish Oil, one thing that you can be sure of is that it is of superior quality.